But gone are the days of making excuses. 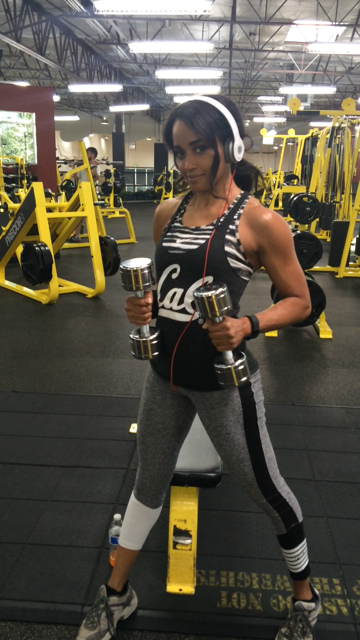 These days LaDawn not only makes time to work out, she’s committed to staying fit and living healthier – a commitment that led her to joining various fitness competitions in Nevada this year. How exactly did the transformation from fitness enthusiast to fitness competitor happen? It seems that once you’ve been bitten by the fitness bug, you can’t stop. That’s certainly what happened to LaDawn and Celeste, who are now training for the NPC Tahoe Show (Bikini Class). The Tahoe Show, which is the premier bodybuilding contest in California and Nevada, takes place on August 22, 2015. The fitness plans are also tailored to their needs. LaDawn explains that the biggest problem areas for women are the lower bodies, because that’s where they tend to hold the weight. “Celeste and I had to do this Booty Boot Camp, and all it is, is an hour of lower-body exercises,” says LaDawn. “We do that twice a week, and it’s pretty intense.” The rest of the week, she and her daughter do exercises for the arms, back, and abdomen. LaDawn looks to her trainers Gwen Sedler and Jennifer Bosco of Perfect Ten Athletics for guidance. They ensure she’s ready for the stage by managing her diet and fitness regimen, and teaching her professional posing techniques. Now the countdown to the Tahoe Show begins! LaDawn’s journey, however, is not just about the physical aspect. It’s about commitment and motivation, about setting goals and achieving them. More importantly, it’s about staying fit and living healthy. See Dr. LaDawn Talbott compete in this year’s NPC Tahoe Show. Talbott Plastic Surgery Center will also have a booth at the event, so please drop by if you’re attending. You are about to see content and pictures from medical procedures. If you are easily offended or under the age of 18, please leave the page.